I’ve always found the global development system frustrating. It was the 1980’s when it first got my attention, with suffering and extreme poverty dominating my daily news feed. The end of a golden age of discovery? I’m sitting on the top deck of a 747 after British Airways kindly decided to upgrade me to First Class. After a week in Washington DC it feels like a fitting – if not fortunate – end to a crazy and hugely productive, thought-provoking few days. Although the majority of my more recent work has sat in the ‘global development’ bucket, much of my early interest lay in conservation. Before I stumbled into the world of mobiles-for-development (m4d) I was helping with biodiversity surveys in Uganda and running primate sanctuaries in Nigeria, and focusing my academic studies on the role of anthropologists in the creation of national parks. 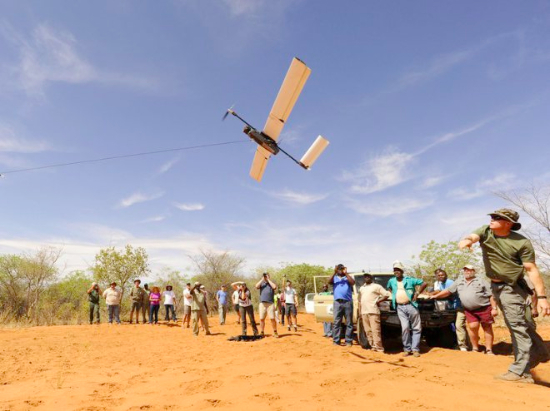 Are Conservation Drones Militarizing Wildlife Parks? During a rare, quiet, bored few minutes last week I looked through a few early blog posts from some of the longer standing members of the ICT4D community. Between around 2012 and now, many of the same statements, proclamations and questions have come up time and time and time again. The same tweets with the same outcome – usually nothing. 2013: The end of sustainability? January 2013 will be my ten year anniversary in “mobiles for development”. To say a lot has changed is something of an understatement. I was no different to many other children my age, taking every opportunity to get my hands on a National Geographic magazine and flicking through each colourful page in wonder and amazement. I’d get most of mine cheap from jumble sales back then – I can afford to buy them full price these days – but that sense of fascination remains. Driven by a curiosity and a strong interest in primate conservation, late one night back in December 2001 I arrived in Nigeria to take up my post as Project Manager at a sanctuary in Calabar, Cross River State. The year I spent there – starting exactly ten years ago this month – turned out to be fascinating and frustrating in equal measure. “Luxury Travel Stories is about the idea of connecting the world via ‘stories’ in postcard format. A photo with accompanying text no more than what would fit on the back of a postcard”. The Aspen Environment Forum. In tweets. Last week I was fortunate to attend the three-day Aspen Environment Forum (#AEF2011) in Aspen, Colorado. The following interview – “Solving eco challenges with grassroots messaging” - was given to the National Geographic website last autumn. Over the past year or so, it’s become increasingly clear to us that we need to take the “mobile message” out of its technology silo and make it more available – and accessible – to a wider audience. How Much Gas Do You Emit? This post was submitted by Preethi Sundararaman, an Ashoka Summer Associate working with the FEC Healthcare for All team. Iâ€™ve been friends with Lawrence and Gladys Zikusoka - founders of Conservation Through Public Health (CTPH) - for a few years after meeting them in Stockholm at an ICT4D conference. Our meeting was particularly exciting because of our shared interest in technology and primate conservation, and because of my previous conservation work in Uganda, the country where theyâ€™re based.